Alaska dream hunts are affordable! We realize not everyone prefers a fully-guided Alaska hunt, so we put together affordable DIY hunt packages. Many hunters want the DIY experience, but lack the necessary knowledge to hunt successfully and safely in the Alaska wilderness. As an experienced Alaska Registered Guide and Outfitter, we offer a limited number of DIY fully planned quality hunts each year in game-rich areas. 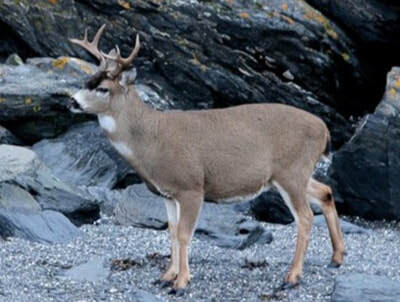 We assist you in planning your hunt, and we customize your plan for group size, species (caribou, moose, Sitka black-tail deer), and physical ability. Our long-time Alaskan know how can increase your success! We help hunters every step of the way in planning their hunts. Hunts in Alaska are logistically very challenging due to the vast wilderness and limited road system. Primarily, we access hunting hot-spots through air charter service and remote river corridors. Alaska is 20% the size of the lower 48 states with 3,000 rivers, 3 million lakes, and 6,640 miles of coastline. It’s 6½ times the size of Colorado. Alaska is enormous! 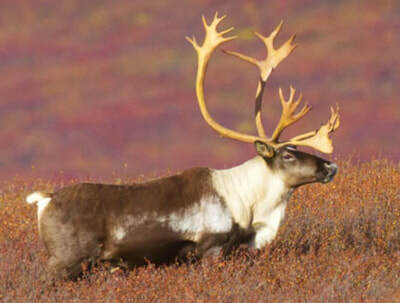 Some species, such as caribou and moose, are widely distributed across much of Alaska. However, depending on the month, animals may be scarce where good habitat exists but abundant elsewhere. Many big game species in Alaska make long migrations between their seasonal ranges. Careful planning, thorough preparation, and knowing exactly where and when to go are the keys to a successful Alaska DIY hunt. 1. 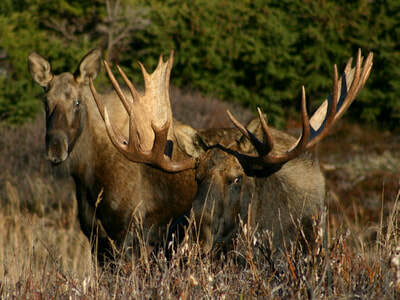 Access to long-time experienced reputable Alaska Guide and Outfitter. If you have any questions, just contact us, and we will assist you. 2. Customize your hunt to meet your goals and preferences. 3. Provide a detailed Hunting Orientation packet. 4. Help maneuver through the logistics of Alaska to access hunting hot-spots. We select hunt areas that have had extremely high success rates in recent years and areas with minimal human encounters. 5. Limit the number of hunting groups to provide customer-oriented hunting service. 6. Provide an affordable option for your Alaskan DIY dream hunt. Our consulting fee for your customized hunting plan can be determined once we know the species you wish to hunt, preferred dates, size of hunting group, travel requirements, and any additional hunting preferences. Contact us for a quote. Let’s put a DIY customized hunt together for you!